This KORONO lamp is a combination of modernity and exceptional style, which makes it a top-of-the-line model. The product can be described as original and outstanding and these are features worth opting for. 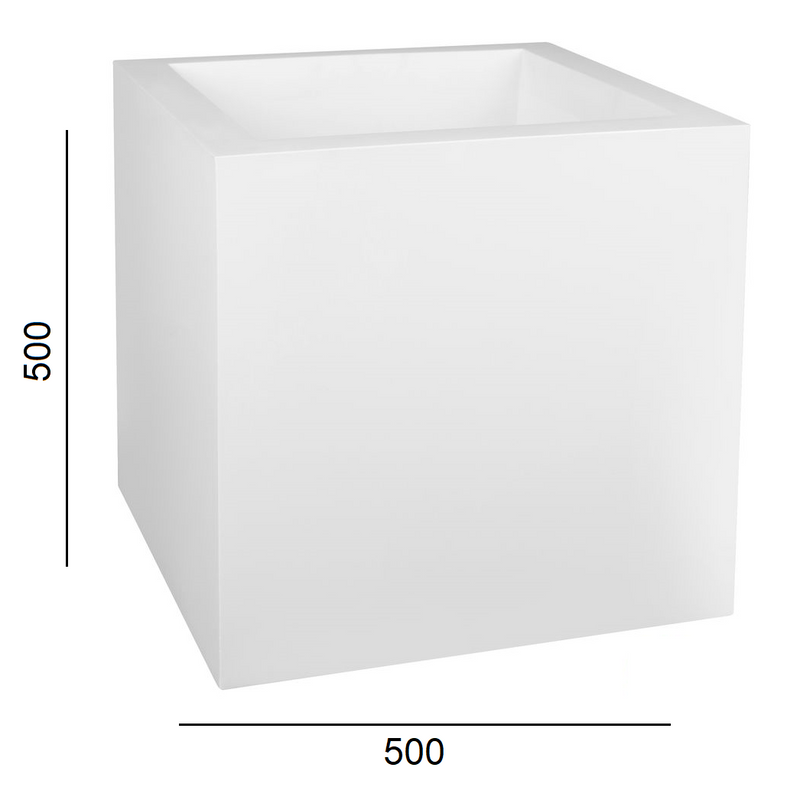 The planter has got a false bottom at a height of two thirds, so it can hold even large ornamental plants, flowers or shrubs. The illumination is located under the false bottom. It can be easily reached by unscrewing the light clamping located in the bottom of the planter. Various colour effects can be achieved by using LED RGB light bulbs - sold separately. The planter can be used both as a decorative element and a source of light. Consequently, the planter will present itself ideally not only in a garden but also in a flat. The shape of the illuminated planter will create a remarkable atmosphere at any place. The product’s stability and shape are its great advantages, which let us relocate the planter to a new place without any problem. Top-quality polyethylene has been used to produce the planter. The material is weather-resistant. The resistance reaches from -30 °C to +60 °C. The planter is also uv-resistant. Thanks to these features it neither cracks nor changes its original shape and the colour does not fade because of sunlight. The smooth texture will allow you to easily remove any staining. A power cable coming out of the bottom of the planter is included. The cable and the plug are completely waterproof. All the available products can be combined, connected and adjusted to create one’s own area decorations. New arrivals just arrived here at Quasar LED. Discover something new from our favourite hand picked range. Quasar Led Ltd is a family run, United Kingdom based and VAT registered company trading since 2016. We are suppliers of handpicked, energy saving LED lighting solutions for home and business. By operating online we are able to offer very competitive prices to our customers. We hope you will enjoy shopping with us and look forward to providing you with a low-cost and efficient service. Here at Quasar LED we always try and look at our prices from our customers point of view. Which is why we're proud to offer 5% off all orders over £100. Our 5% Offer is available all year round and we also offer FREE delivery on all UK orders. Committed to excellent value and customer focused aftersales, we also take great pride in our huge product range with an impressive 200 different product lines in stock, all ready for immediate dispatch. We only stock premium quality lighting, bulbs and accessories so you can shop with confidence with Quasar LED.